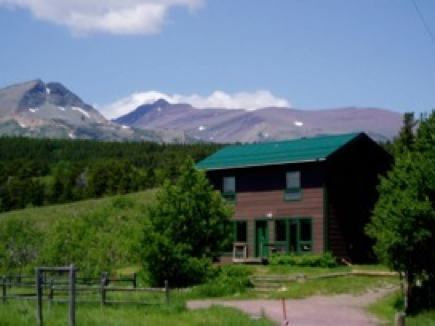 Railroad Creek Lodging, located 3 miles west of East Glacier Park, is a 3 bedroom home set up with families in mind. All linens, towels, dishes and kitchen utensils are here, right down to salt, pepper and ketchup. All bedrooms have queen beds with an additional queen air bed available. "home", relax and end the day with a family meal prepared by you and your "staff" in our fully equipped kitchen. So come out to Glacier Country and Railroad Creek Lodging where Glacier Park is our back yard! !